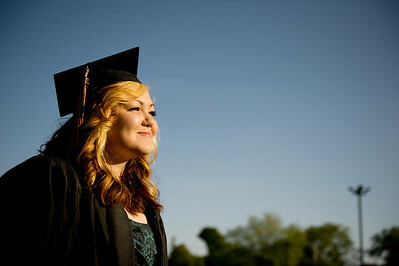 Daniel J. Murphy - dmurphy@shawmedia.com Alyssa Powers, 18, walks into McHenry East High School for the 92nd annual commencement ceremony Wednesday May 16, 2012 in McHenry. 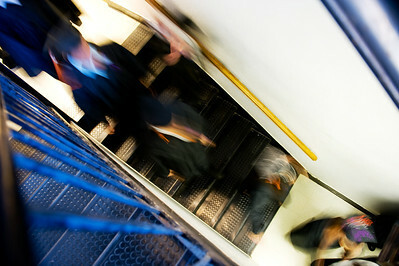 Daniel J. Murphy - dmurphy@shawmedia.com Graduates file into the gymnasium for the 92nd annual commencement ceremony Wednesday May 16, 2012 at McHenry East High School. Daniel J. Murphy - dmurphy@shawmedia.com Graduates take their seats at the 92nd annual commencement ceremony Wednesday May 16, 2012 at McHenry East High School. 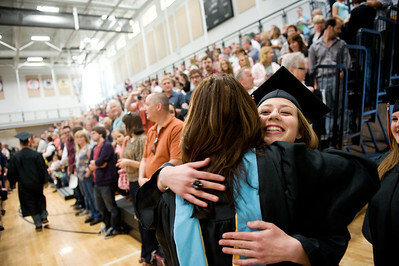 Daniel J. Murphy - dmurphy@shawmedia.com McHenry East High School Dean of Students Jennifer Lawrence gives senior Hope Schmidt (right) a hug before taking a seat during the commencement ceremony Wednesday May 16, 2012 at McHenry East High School. 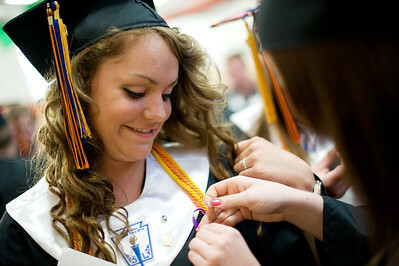 Daniel J. Murphy - dmurphy@shawmedia.com Sarah Wandall, 17, (right) pins a purple ribbon to Cortney Kincaid's, 18, (left) gown before graduation Wednesday May 16, 2012 at McHenry East High School. The ribbons were worn in honor of former classmate Alex Baer, 17, who died in a tragic skateboarding accident back in July 2010. 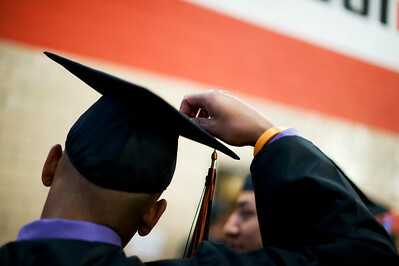 Daniel J. Murphy - dmurphy@shawmedia.com Senior Brian Frapolly, 17, adjusts his cap before the 92nd annual commencement ceremony Wednesday May 16, 2012 at McHenry East High School. 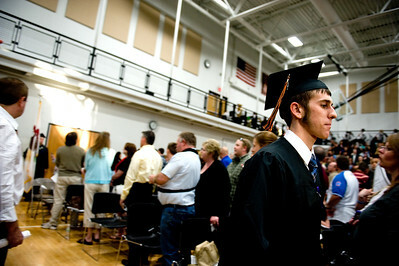 Graduates take their seats at the 92nd annual commencement ceremony Wednesday May 16, 2012 at McHenry East High School.